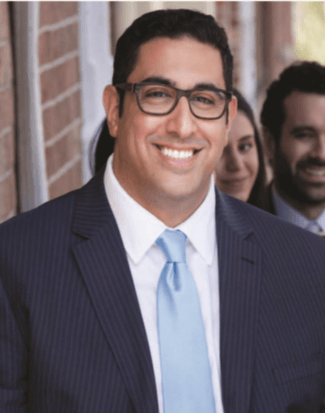 George Hanna is admitted as a Solicitor in the Supreme Court of NSW, the High Court of Australia, the High Court of Auckland and is a Registered Migration Agent. George has wide ranging experience at a number of large corporate firms in Sydney prior to commencing GMH Legal. Advised clients in proceedings commenced at the Federal Circuit Court. 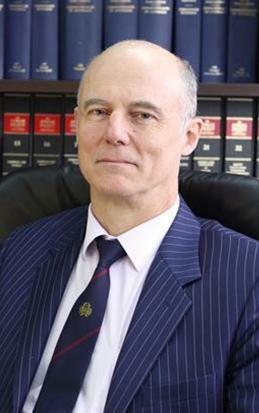 Eric Petersen is a barrister admitted to the NSW Supreme Court in 1984. Eric heads GMH Legal’s Litigation department as an independent counsel. Eric Petersen’s areas of expertise include: Civil and Contract Law; Construction and Commercial Law; and Equity and Probate. sitting on disciplinary tribunals convened by the City of Sydney Basketball Association. King v Stewart (1994) 85LGERA384 (authority that a private homeowner is not duty-bound to inspect their own home in order to discover hidden dangers). Eric Petersen has often taught and written for educational bodies. His publications range from the dry-as-dust “A History of Takeover Law” to the racier titles such as “How Not To Be Legally Robbed”. David Li is admitted as a Solicitor in the Supreme Court of NSW as well as the Supreme Court of SA. David has wide ranging experience at a number of large corporate firms in Sydney. Advising an up and coming Australian technology company (a tablet computer maker and designer) on its international IP protection strategy, assist it with international filing of trade marks and setting up of distribution networks in Australia and USA worth in excess of USD $200 million a year, focusing on the protection of its IP through both legal and practical means. Advising a medium sized Australian technology company (a computer hardware and software designer specialising in artificial intelligence and imagine/facial recognition) on issues relating to software licensing and website content and copyright infringement. Advising the Australian subsidiary of a Chinese conglomerate with a turnover in excess of USD $500 million on general commercial and branding protection issues, including filing and prosecution of a range of trade marks and sale of its furniture arm in South Australia. Advising an international artists management company based in Australia and Singapore on branding and artist management issues and IP ownership and transition with respect to a partial dissolution. Assisting Runping and Partners, Voson and other Chinese firms with filing of trade marks and patents in Australia and advise them on the prosecution of those trade marks and patents in Australia. Advising an Australian wine maker on its comprehensive IP protection strategy including filing of a range of trade marks.